Our trip to Morocco was a long waited one, and with a lot of mixed feelings. On our very first day we already realized that despite all my reading and research for tips and recommendations, there were still many things we only learned about after experiencing the country for two weeks. To say we wanted to have been more prepared is an understatement. However, I think we could have never been prepared enough for our trip, after all, some things you need to experience yourself. This is of course valid for any place you ever visit or live in the world. 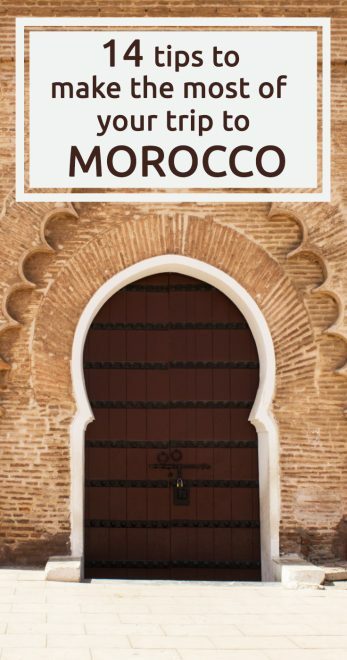 But if you are not used to traveling to Muslim countries, Morocco might be a bit of a cultural shock. Before our trip, W. and I have previously visited other Muslim countries, Turkey and the United Arab Emirates. However, these two are very different than Morocco, where at least for us, the religion influence is even stronger. So if there is one thing you need before you board on a plane to Morocco is to be open minded for what you will see and experience, especially if you are a woman. From the call to prayers early in the morning, to not being able to have alcohol near religious sites, from scams to harassments, at first they might seem interesting, or just different, after over a week they may become annoying, very annoying. Be patient, and be open minded, try to accept the differences, it won’t be easy for many (even if you consider yourself open minded), but do it for yourself, it will easy things up a bit! I’m one of the worst persons to say no to someone, especially if they are kind to me. But that was before I came back from Morocco. I became a different person after our trip, as I finally learned to say no in the hard way. Nothing like practicing it every day for 2 weeks. Ignore the person. Don’t make eye contact, keep walking, make conversation with your partner. Really pretend that he/she isn’t there. It seems really rude, and you might even hear things you don’t like, as we did in Fès when a guy yelled at W. saying he was a racist! However, it will work the vast majority of time, even though it will require a lot of patience from your side. Try to sell something to the person! Yup, weird, right? But try it once and you will see how incredibly effective it is to make someone go away by selling let’s say, your map, or your pen! They love to sell you stuff, anything, but if you try to sell them something, they get embarrassed and leave. On the other side, the less effective way to make them go away is to say what we are used to: “No, thank you” and smile. They will take it as a maybe, to say the least. 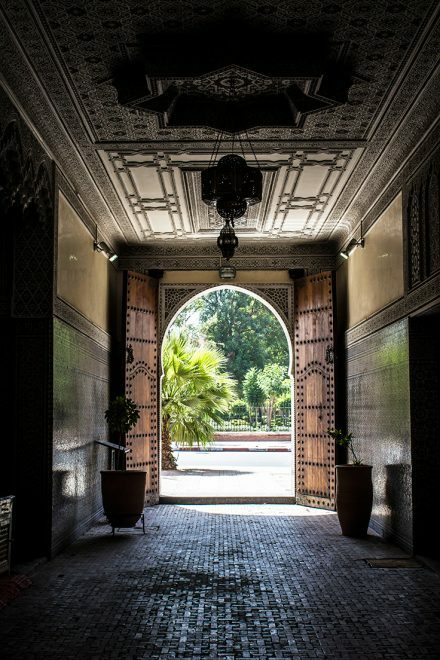 One of the first and best things you can do when you arrive in Morocco is to speak to the staff of your Riad/Hotel. They know the best places to eat for any budget, where to go and where not to go, what to avoid, the scams, where to find something specific you are looking for. Take advantage of their knowledge to make your life easier, there is nothing like having tips from a local. Our trip wouldn’t have been the same without the help of the staff of the Riads where we stayed at. 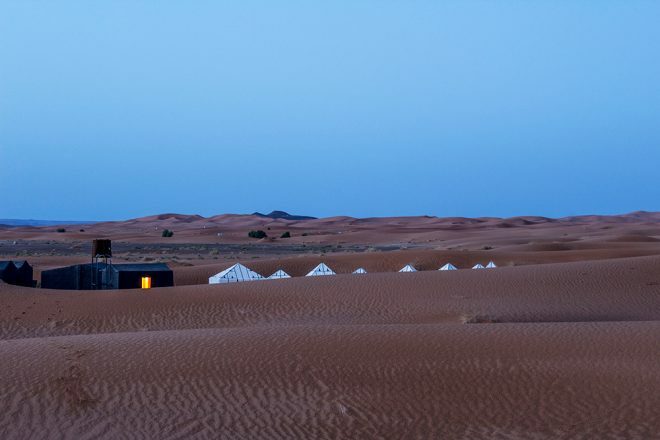 Having internet access while in Morocco can save you a lot of pain, and help you in the most unexpected situations. The best thing about it is that it is very cheap and the connection is great (unless you are in the desert). You can get a SIM Card (yes, even the mini ones) in one of the 3 operators in the country: Méditel, Menara/Maroc Telecom and INWI. We got to try the first and the last, but found that Méditel was great and stick to it. We paid about 260dhm for 2 SIM Cards with 2GB for 4G internet for 1 week. Later on we discovered that we could have paid way less and for a longer time. Also, you don’t need to go to the operator official store to get internet, you can go to the resellers as well. 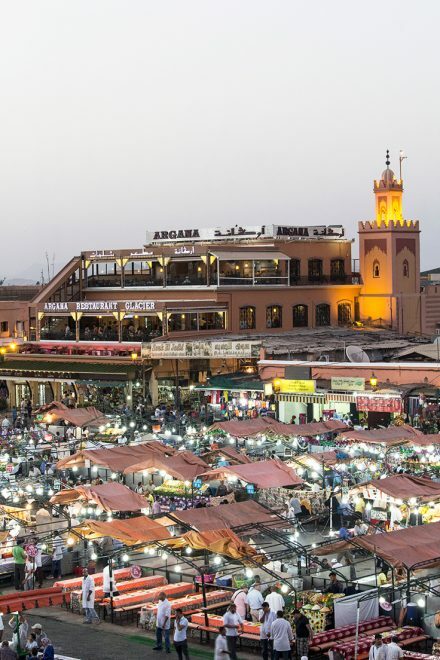 Negotiation is part of the Moroccan culture, they love to bargain all the time, and that applies for everything. In many grocery stores there aren’t prices on the goods, you have to negotiate even water. A taxi ride from Marrakech Medina officially has a fixed price, however, even so the taxi drivers negotiate with you, despite being illegal. At the mobile stores you also need to negotiate the Internet price (hello? ), even to go to the bathroom on the road you need to negotiate. Only enter a store if you are willing to buy something, otherwise, be prepared to negotiate your exit! If you already know what you want, you may as well know how much you are willing to pay for it. Having a price in mind and sticking to it will help you incredibly, because you’re hardly going to lose the negotiation, all they want is to sell. 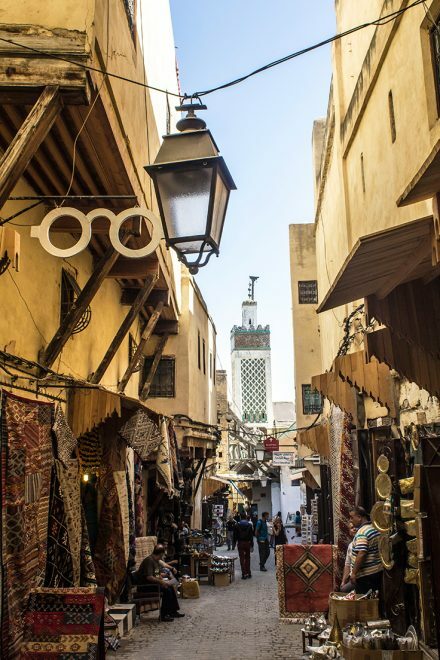 If you have no clue how much something would cost, you can ask at your Riad to have an idea. If the seller doesn’t accept your price, just say you understand that it is a very good quality product, but that’s the only price you can pay. Say sorry and leave. You have almost 100% chance that the seller will agree to your price and call you back to the store, even if he/she will be pissed in the end. Also, don’t forget that people basically sell the same products everywhere in the country. If you can’t get it in that given store, you will get it somewhere else. One of our biggest worries about Morocco was where to eat safely. We avoided as much as we could to eat in places we found spontaneously or on the streets. Before embarking on our trip I made a list of restaurants recommendations from friends and other bloggers, and while we were there we always asked at our Riad/Hotel for further options. We also learned that safe places are also the ones where lots of tourists go to. I know, normally that would mean it’s a tourist trap, but not in Morocco. 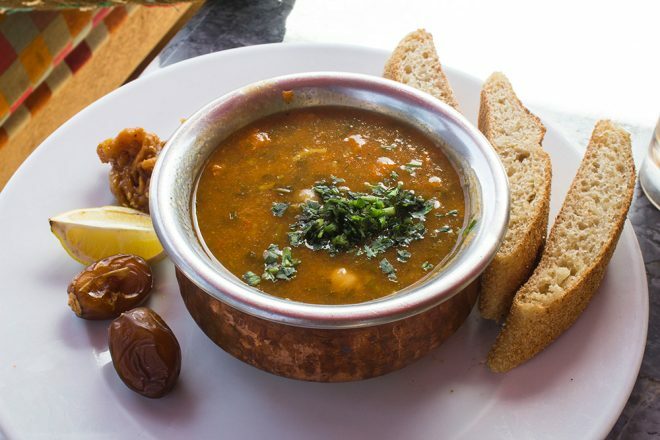 There are restaurants and cafes for every budget that are safe to eat and avoid any possible stomach problems. After 2 weeks we didn’t have any problem with any food we ate, and no, we didn’t only eat in fancy restaurants, in fact, we had meals in some very non-attractive places too. Especially as a woman, you want to dress respectfully. You don’t need to wear a headscarf in Morocco, all you have to do is to cover your shoulders and knees, so t-shirts and jeans are totally fine. I also avoided wearing tight clothes, I wanted to draw the least attention as possible, but know that in Morocco even wearing a Burka will draw attention from men. At the same time, you also want to be comfortable, for walking, for cold and hot days. It is totally possible to combine comfort and respectful clothes, my picks were: t-shirts, joggers/baggy cotton pants, cardigans, sneakers and comfortable flats. After your first walk in the city, you will probably feel really dirty and like you need a shower ASAP. True. I felt dirty all the time, and tried to wash my hands as much as I could, just to feel a bit better about myself. Having hand sanitizer in your bag is a must, and it’s not easy to find it in Morocco, so bring a few from home. If you are traveling between cities by car, train or bus, you will eventually need a bathroom break. Know that you won’t always find paper in the toilets, so it’s always a good idea o have some in your bag. Some bathrooms are so poor that you might think it could be better to go on the side of the road than there. 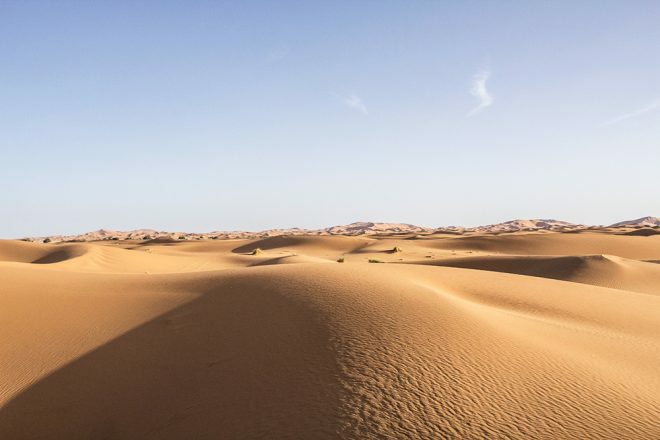 This is something very important, anywhere you go, but temperatures can get really high in Morocco during the day, so make sure to drink plenty of water and to always have a bottle with you. Also, just drink bottled water, tap water is not safe to drink in Morocco. While walking on the streets of a Moroccan city, you will sooner or later be offered directions. The only problem with this ‘help’ it’s that it’s not for free or out of kindness, they are only looking for money from you in exchange for information. Sometimes, even if you deny it, they will insist and even follow you around. That’s when the tips from number 5 of this list can help you. At the same time, do not ask for directions from someone passing by, unless it’s another tourist. If you really need to ask, go to a store or restaurant. Know that unfortunately, with time, this is going to be one of the most annoying things about being a tourist in Morocco. It can be incredibly helpful, especially if you are going to small cities or spend some time on the road. Getting a bill changed in Morocco can be time consuming sometimes. 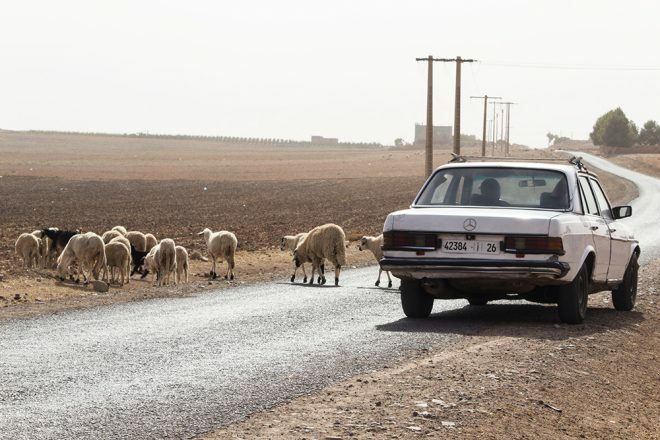 People offering direction in exchange for money, bad quality products, putting a monkey on your shoulders and asking for money in return, disgusting bathrooms that you need to pay for, fake Moroccan oil, cheating taxis, and so much more are among some of the most popular scams you will encounter in Morocco. Though I would love to list them all here for you, there will always be a new one that will take you by surprise once you are there. So be aware that they exist, and that on the streets EVERYTHING involves money and taking advantage of you. 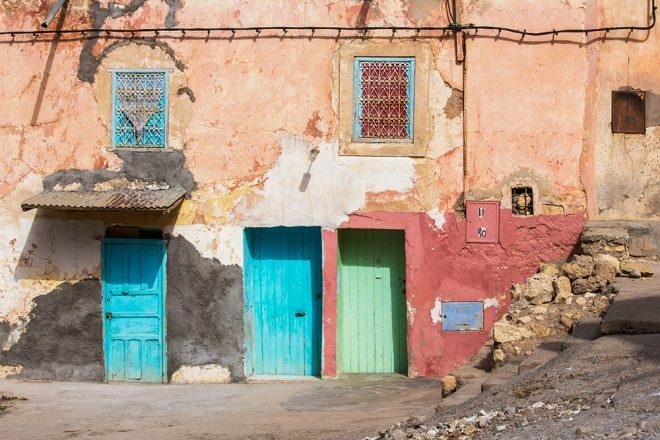 From cities like Marrakech, Fès, Tangier and Casablanca, there are several companies offering day trips to somewhere nearby, that being to the desert or to Chefchaouen (the blue city). Be careful with which one you choose, always read reviews beforehand. A good idea is always to ask your Riad for recommendations, this way you make sure to pay less for a better service. Tunisia has many if not most of the same challenges that you descriped, and now I am really glad that I went there first – before Morocco, which is one of my VERY much idealized dream destinations. Maybe because I didnt have the pressure of the trip being perfect, I had no problem navigating the pushy interpersonal interactions all around me. I simply treated these situations as Russian markets that I am so accustommed to, and that for years were run by the “southern” population with similar cultural traditions to that of MENA. I did!! I had great moments in Morocco, but above all what I liked the most was how different it was from every place I have visited before, I learned a lot. Thank you Vlad! I believe traveling in a group around Morocco is way better than solo or as a couple. People certainly harass you less!